Keep a watchful eye on your important assets with security cameras for home and business security all from a local company. 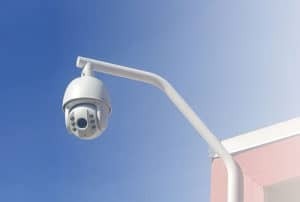 Video surveillance is all about keeping a watchful eye on your property, and Safe and Sound has the best security camera systems in California. 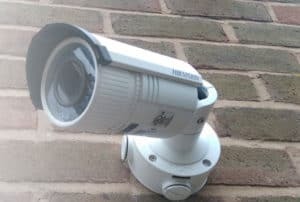 Our technicians are experts at everything from planning out the best home security camera s for your specific property, to installing and properly networking the cameras themselves. We offer only the best Hikvision security cameras ranging from your basic 1.3 megapixel cameras to 4k panoramic PTZ cameras fully equipped with night vision, and capable of tracking 60 targets at once. Whether it’s a spy camera, home camera, or business camera Safe and Sound has you covered. 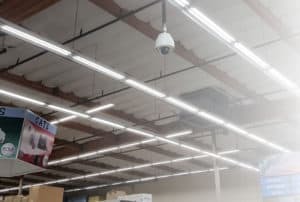 We’re the experts in all types of surveillance systems: everything from a subtle CCTV network to a state-of-the-art, cloud-connected, low-light and IR surveillance powerhouse. Whether you’re streaming real-time footage from every corner of your business straight to your smartphone, or you just want to find out who keeps using your parking lot after hours, Safe and Sound is local, dependable, reputable, and fully committed to customer satisfaction. As one of the best home security companies operating today, Safe and Sound will be with you every step of the way, from your very first call right through to the moment when you first activate your wireless security camera system. Our commitment to you doesn’t stop there; our staff is always on call to handle any concerns that you might have about a product, a system, your home security in general, or anything else! If you’re investing in a security camera system, don’t neglect one of the main points of contact for your home or business – the doorbell. 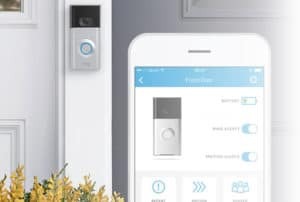 State-of-the-art security software apps allow you to access your home security system or your commercial security system in a variety of ways.